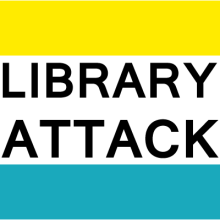 Mark Pilgrim and “Infosuicide” – Library Attack! dive into python, originally uploaded by kendrak. Today on /. there is a story Searching for Mark Pilgrim., linking to the blog post of Eric Meyer. Just yesterday, I took a screenshot of the title page of Dive Into HTML5 to include in a presentation as a highly recommended resource. Now itâ€™s gone. That site, along with all the other â€œDive Intoâ€¦â€ sites (Accessibility, Python, Greasemonkey, etc.) and addictionis.org, is returning an HTTP â€œ410 Goneâ€ message. Markâ€™s Github, Google+, Reddit, and Twitter accounts have all been deleted. And attempts to email him have been bounced back. I also wonder why Mark Pilgrim decided to wipe all of his work from the web, but also the implications of infosuicide. A lot of the information sharing on the web is done with a level of trust. I trust that you won’t just delete everything and make it all disappear. I guess it’s a matter of degrees – a one off site is fleeting. A whole brand, you think that would have some permanence. Infosuicide worries me for the long term implications for the community. I don’t like gaps, but I also don’t think we can avoid it. The Wayback machine can work, but it’s not capturing everything. And so is the ephemeral nature of the internet…. Infosuicide is definitely a problem, but if you’re looking for another resource on learning Python, try http://pythonlearn.com/. It’s meant to go with a (very reasonably priced) textbook, but in my opinion the most helpful thing is the audio of the lectures and the screencasts. Good luck! Megan, thanks for the link! I will check it out. I finally have a data set small enough to play with.